RightPatient® Analytics provides patient access professionals real time biometric patient identification, enrollment, and verification data to help monitor system performance and user activity. Helping to maximize system optimization and facilitate a positive return on investment, RightPatient® Analytics allows healthcare practitioners access to data that helps track patient enrollment volume and subsequent identification and verification. 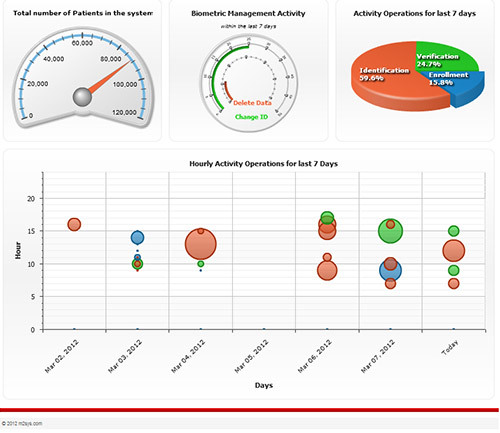 Through a user-friendly, web-based interface, healthcare administrators have access to the real-time data they need to analyze system usage, track patient flow, maintain patient safety, troubleshoot, and potentially reallocate resources based on results. 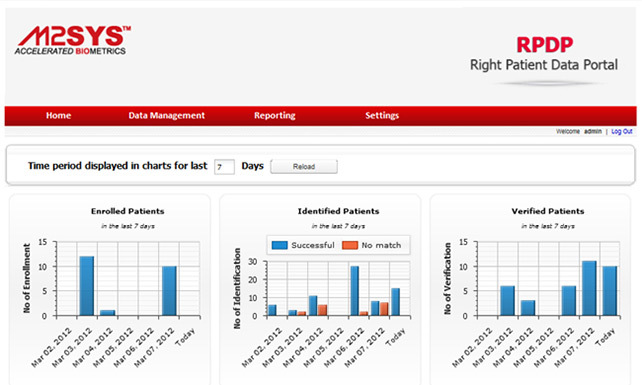 What advantages does RightPatient® Analytics provide to healthcare professionals? More organizations are making use of business intelligence (BI) and healthcare analytics, and the use of these tools has helped entities see faster and more accurate decision-making, save costs, and increase transparency. RightPatient® Analytics fosters collaboration between patient access staff, clinicians, and the C-level to ensure that the biometric patient identification system is operating efficiently and effectively.